After a small teaser last week, GMC has confirmed it will reveal the 2020 Sierra HD on Tuesday, January 22nd. Along with the announcement, GM’s truck brand has also given us another teaser shot of their new HD truck. Today’s teaser doesn’t tell us much that we don’t already know. The shot showcases the front fender badge, which is just a larger format of the one found on the 2019 Sierra 1500. 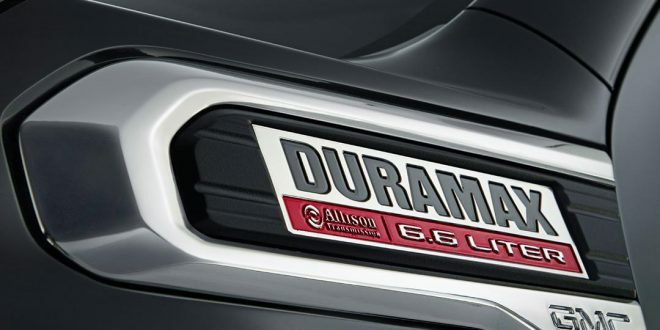 On the badge, it confirms the new Sierra HD will be powered by the well-known Duramax 6.6-liter diesel V-8 and Allison automatic transmission. Expect more details and full photos of the 2020 GMC Sierra HD on Tuesday.